Dan Thomas and Craig Burley make their picks for the first legs of this week's Champions League, including Liverpool-Bayern and Atletico-Juventus. In an exclusive with ESPN FC, Bayern Munich's Manuel Neuer makes no excuses when asked about his side's Bundesliga campaign. 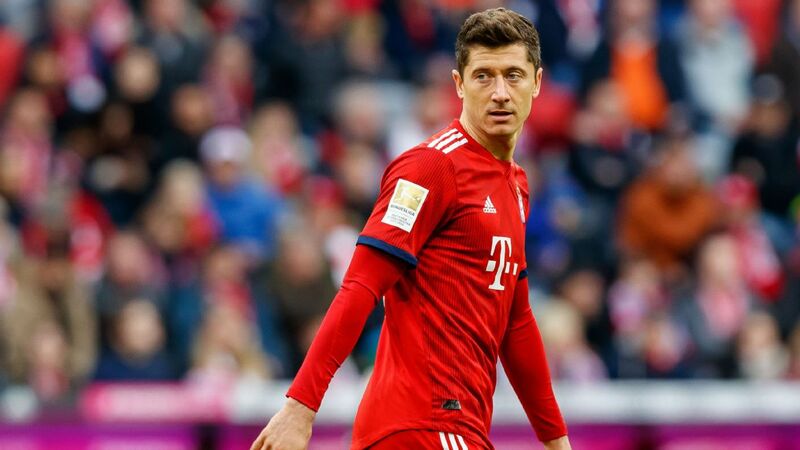 Bayern Munich forward Robert Lewandowski, who has previously been linked with a move to Major League Soccer, said he thinks the German champions will be his last European club. The Poland captain, who now has 197 Bundesliga goals to his name taking him past Claudio Pizarro as the highest scoring non-German, had sought a move away from Bayern in the summer, after claiming he was an "easy target" for criticism. However, Lewandowski has now said he is unlikely to join another side in Europe, with his wife having previously admitted she hoped her husband would end his career with a club in Los Angeles. "I can imagine it [Bayern being my last European club], because it's a great city, a great club that will develop even more from next season," Lewandowski told Przeglad Sportowy. "I want to break more records. The thought that I could make my mark on the pages of history could make me stay in Munich." Lewandowski's immediate task will be to help Bayern overcome Liverpool at home in the second leg of their Champions League round-of-16 tie on Wednesday. The sides played out a 0-0 draw in the first leg in England. Liverpool boss Jurgen Klopp managed Lewandowski at Borussia Dortmund, and the forward said the German was a father figure to him. "I spoke to him like I did with my father, something which I could not do after my father's death. I went up to him after the away match against Marseille in the Champions League, because I did not understand what exactly he was expecting from me. "We lost and something inside me snapped. I knew that if I did not react, nothing would change. This was when I realised that a change in behaviour could benefit me a lot. We just clarified a lot of things. At that moment something in me burst. Three days later I scored three goals and got an assist. Everything changed at a time when I had never felt weaker. "That situation showed me how important what's going on in my head is -- the power of talking." Robert Lewandowski has become the highest scoring non-German in Bundesliga history. The 30-year-old has never won Europe's premier competition, having finished runner-up to Bayern while with Dortmund in 2013 -- before reaching three out of four semifinals with the Bavarians. "This [winning the Champions League] is definitely my dream, but if we do not get into the final, I will not write this season off," Lewandowski said. "If I do not succeed, I will keep trying. When asked if he would keep trying as a Bayern player he replied: "We'll see, there have not been any talks yet."